Steering Stabilizer kit for the Model T and Model A. One end clamps on the tie rod, and the other end clamps to the front axle. No drilling required. a simple unit to install, which dampens the steering. 1929-31 Model A Ford Steering box Gasket set. A complete set of gaskets for the 2 tooth steering box. Steering box eccentric rivet for the 1929-31 Model A. This is the slotted rivet that is riveted at the base of the steering column on the 2 tooth steering box, and adjusts the sector housing. Made in USA. Steering box eccentric stud for the 1929-31 Model A Ford. One of these is used on the 2-tooth box. This is the special stud that has a shoulder on it. Made in USA. Steering box eccentric adjusting sleeve for the 1929-31 Model A Ford. This piece mounts in the 2-tooth sector housing for adjusting the sector. Made in USA. Steering Eccentric adjusting cone for the 1929-31 Model A Ford. This cone fits around the special stud and down inside of A-3586 for adjusting the sector shaft. Made in USA. This special dished washer goes between the sector and the steering box. (2-tooth steering box only). Made in USA. Steering box jam nut for the 1929-31 Model A Ford. 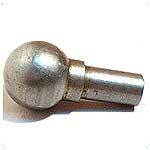 This thin nut locks the sector thrust screw in place on the side of the steering column. 2-tooth column only. Made in USA. Steering box sector thrust screw for the 1929-31 Model A Ford. The screw in the steering box that controls the end thrust of the sector. This one is for the 2 tooth sector steering box. Made in USA. Use this handy tool to help remove and install the sector bushings in both 7 and 2 tooth steering boxes. Sector bushings for the 1928-31 Model A Ford. These bushings go in the housing where the sector goes through. Set of 2. Made in USA. 2-tooth sector for the 1929-31 left hand drive Model A Ford. This is a foreign made sector for the two tooth steering boxes. Quality is pretty good on these now. Right hand drive sector shaft 1929-31. Special sector for the right hand drive model A with the 2-tooth steering box. 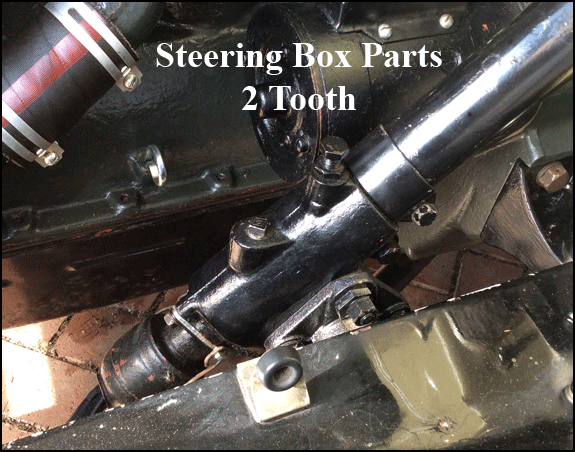 For the mid 1929 onwards Model A Ford with the 2 tooth steering box.. This is the seal that is used in the end of the new A-3548-N sector housing. Your old sector housing will need to be machined to accept this seal. To install seal, bore the end of the sector that bolts to the frame .250 deep and 1.625 diameter. Press in Neoprene seal to stop the oil from dripping out of the sector where it bolts to the frame. Made in USA. This set replaces the bushings in the sector housing and will make the car steer much easier. Requires machining. 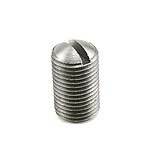 Bore each end of your sector gear housing 1 1/8" deep and 1.375" in diameter. 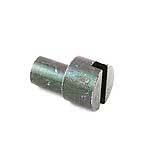 If installing the optional oil seal (A-3574-SEAL) then bore frame end hole to 1 3/8" deep. Put needle bearing in each end. Adding the A-3574-SEAL will give the best performance to stop oil leakage. Steering Sector 'O' Ring for the 2 tooth and 7 tooth steering box. You can slide 'O' ring on end of sector, before you mount steering to frame. 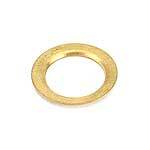 Or to do a proper job, the sector outer bushing should be pressed in a further 3/32" to accept 1/8" 'O' ring. This will minimize leakage of lubricant. Included is a flat washer installed after the 'O' ring to hold it in place. Steering worm bearing for the 1929-31 Model A Ford with the 2 tooth steering box. (Two of these bearings will be required for the 2 tooth steering worm). Steering housing end plate for the later 2-tooth steering gear assemblies. This tube replaces the end plate on the steering column and has a tube that goes up above the oil level to prevent oil leaking. Steering box Clamping bolt kit 1929-31. This kit clamps the upper race in place at the top end of the steering box of the 2-tooth columns. Made in USA. 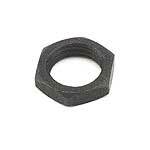 Steering worm Upper race bolt/nut 1929-31. 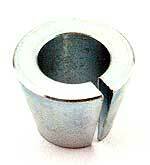 This is the bolt and thin nut that adjusts the upper race in 2-tooth steering boxes.Made in USA. Steering worm Upper race for the 1929-31 Model A ford. 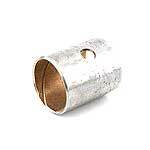 For the steering worm bearing on the later 2-tooth boxes. Made in USA. 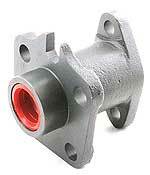 Steering worm Bearing cup 1929-31. 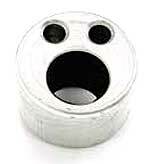 The lower steering worm bearing cup. One required. This is the special 29/32 OD extra wide lock washer that locks the housing to the gear box, heat treated. Set includes three special wide washers for regular studs and a fourth regular size lock washer for the eccentric adjusting stud. Steering box studs for the 1929-31 Model A. This is a set of 3 studs for mounting the 2-tooth sector housing to the steering box. The fourth stud is the special one that has the machined shoulder on it. Made in USA. Steering box nuts for the 1929-31 Model A. 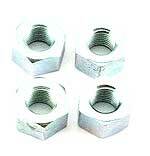 Set of 4 of the special nuts used to hold the sector housing on the 2 tooth steering box. A brand new sector housing for the 1929-31 Model A ford with the left hand drive 2 tooth steering box. This housing is fitted with modern needle bearings and a lip type seal to keep the oil in the box and not on the floor. Steering box Mounting bolt kit for the 1928-31 Model A. This kit bolts the LHD steering box to the front chassis rail. Steering box oil filler plug for the later 1929-31 Model A with the 2 tooth steering box. 1/4" pipe thread. Steering Oil seal retainer 1929-31. Used only on the 2-tooth steering boxes, this dish shaped steel washer retained the leather or neopreme seal where the light rod passed out the bottom of the steering box. Not used with A-3568-T. This special part repairs damaged threads on the end of the steering shaft where the steering wheel attaches. The repair requires some machining capabilities. Please review installation instructions before ordering. the steering shaft has to be drilled, tapped, and the key slot has to be milled. Steering shaft 43" long for the 2 tooth 1930-31 steering box. 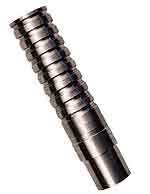 This is the long shaft that your steering wheel and steering worm gear attaches to. Made for the 2 tooth Gemmer steering boxes only. Measure your old shaft to be sure you are ordering the correct shaft. 43" long. Steering shaft 44" long for the 2 tooth 1930-31 steering box. The long shaft that your steering wheel and steering worm gear attaches to. 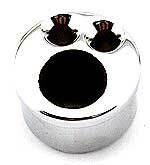 Made for the Gemmer 2 tooth steering boxes only. Please measure your old shaft to be sure you are ordering the correct shaft. 44" long. 2-tooth steering worm for the 1929-31 left hand drive model A Ford. This is for the 2-tooth style steering box only. Right hand drive worm gear for the 1929-31 Model A Ford. This is the special cut worm gear for the right hand drive model A with the 2-tooth steering box. The rubber strip that goes around the steering column and held in place with the column clamp. Steering column support for the 1930-31 Model A (LHD only). Introduced in 1931 due to the fact that the earlier support that was riveted to the gas tank developed leaks. Can be used on any 1930 or 1931. Bolts behind dash rail. Ductile iron. Steering column clamp for the 1928-31. This holds the steering column on the inside of the car. 1928-31 Steering Column Clamp set. Holds the steering column on the inside of the car. This is new tooling and comes complete with mounting screws and washers. Steering column clamp bolts 1928-31. This is the special screws and washers for holding the column clamp in place. Set of 2. Steering Upper bushing 1928-31. The upper bushing in the steering column. Chrome plated with woven anti-rattler insert. Ford originally made two versions of this. This one will work on all Model A's. but will need to be drilled and tapped for columns that have screw holes for mounting. In June 1930 till end the screw holes were dropped and a V shaped lug was added to secure this steering upper bushing. The repro does not have the 'V' lug, but has a dowel pin to hold the bushing in place. 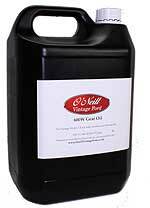 Soak wick in oil before installing. Originally this was unfinished zinc die cast. Kit mounts the steering shaft housing to the steering box through the clamp. Made in USA. 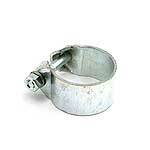 Steering Column Clamp 1929-31. Used only on the 2-tooth boxes. Clamps the steering shaft housing in place just above the steering box. Mounting bolt included. Standard length pitman arm for the 1928-31 left hand drive model A Ford. This is a very well made FORGED steering arm. Original length (6 3/4" centres). This is an original pitman arm with a new ball installed. It has a hollow ball that is heated and pressed onto a turned down round shank and then welded on the end for added safety. Ease that heavy steering with this new pitman arm 1 1/2" shorter than a standard Model A Pitman Arm. Henry Ford discovered in 1933 that a pitman arm 1 1/2" shorter, gave reduced steering effort and therefore made the change on all production cars from that point. Now you can have the benefit of this without the worry of cutting and welding an original arm. Made of SAE4130 chrome moly steel. (5 1/4" centres). Nore: Your steering needs to be correctly adjusted and any worn parts rectified before feeling the benefit of the shorter pitman arm. Special bolt used to attach the pitman arm to the sector shaft on the steering box. Made in USA.